Home » Small Appliances » £6.99 instead of £15 (from Maxwe) for an easy install corner shelf for bathroom – save 53%. 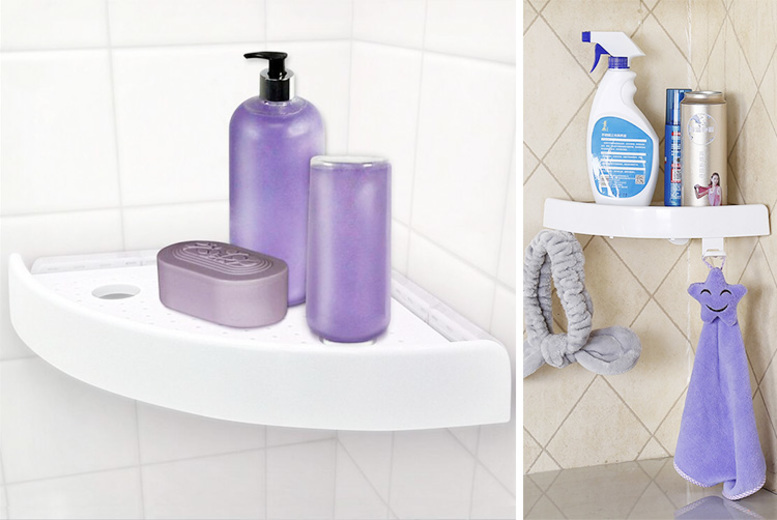 Get a fantastic corner shelf for the bathroom. Easy-install feature for immediate storage. Can mount on virtually any bathroom surface including marble, drywall, glass, tiles and more. Place in the desired corner of your choice and push the pressure handle to fit safely and securely. Perfect for storing shower gel, shampoo and more! Includes hook to hang bathroom accessories.